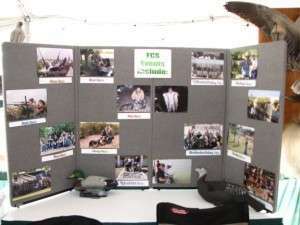 FCS has a variety of promotional items including a professional (cloth) display, a PowerPoint presentation, FCS pictures that can be played as a slide show, a photo album, FCS Gear, and flyers. Supporting members (only), if you would like to have an FCS promotion at your church please contact Randy Rowley at randywrowley@gmail.com or 512-922-2484. Randy will be happy to come set up and man a table with your assistance. You’ll have to get this approved by your church leadership first, of course. Supporting members (only) may also check out the FCS display and other promotional items.